The latest update to Google Maps for Android smartphones is bringing two new features that might interest two different categories of smartphone users: the rich and the poor. The first new feature is the ability to switch to using only Wi-Fi connectivity for location navigation. This comes handy in situations where you come across a free Wi-Fi network while navigating with Google Maps, and you want to save your mobile data. 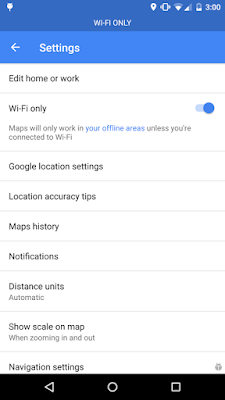 To use this feature, simply grab the latest update on the Google Play Store using the button at the end of this post, slide to your Settings Menu and check the place where you would normally find Offline Areas; it has been replaced by a Wi-Fi Only option, which you can enable to stop using your cellular data and load your navigation data through Wi-Fi. This feature may excite those who have the capacity to purchase Wi-Fi data bundles. We’ve all been through this -- whether in our own backyard or a different country. You need to get directions, but you don’t have service. Or you do have service – but it’s spotty – so you find yourself staring at the map in a perpetual state of loading while you sit in your car waiting to find out which way to go. 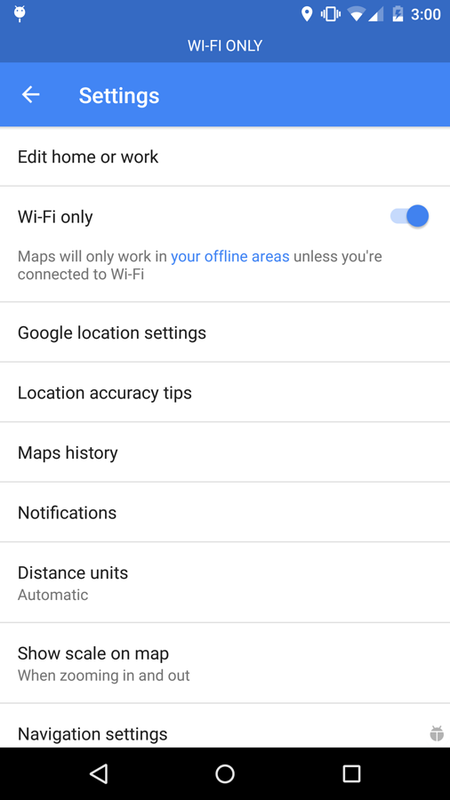 Now, when you know you’ll have spotty service or just want to save on data, you can toggle to “Wi-fi only” to use Google Maps entirely offline on Android. 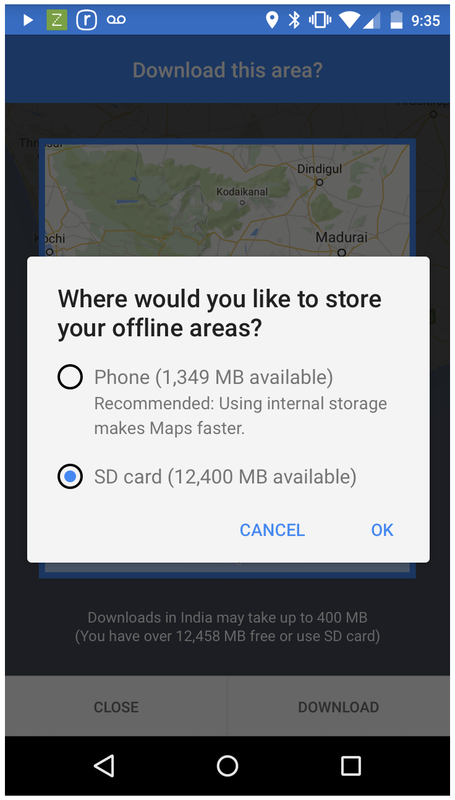 The second new feature in Google Maps for Android allows you to download location and navigation data for offline areas to your SD card instead of the internal storage. This is particularly useful for those using low-end and mid-range smartphones that possess meager amounts of internal storage. With this feature, you can now kill two birds with a stone; save for the rainy day when you have abundant megabytes for browsing by downloading map data for your frequent locations to your phone for offline use, and salvage the internal storage on your phone if you have an external SD card. Users of high-end smartphones with ROM capacities of 64GB and upwards won't be too concerned with this. To enjoy these two new features, you have to update your Google Maps to the latest version. Grab it in the Play Store using the button below.